In choosing Share Joy as the theme for St. Paul’s 2019 annual giving campaign, we wanted to highlight the joy our family has experienced during our three years as members of St. Paul’s. As campaign chairs, we invite you and your family to join us in sharing joy with our fellow parishioners as well as those served by our ministries by participating in the Share Joy campaign. May the God of hope fill you with all joy and peace in believing so that you may abound in hope by the power of the Holy Spirit. Your financial pledge to Share Joy helps fund all the worship services, the missions and ministries, the buildings and grounds—all essential elements supporting and sustaining the rich, vibrant, nurturing community of faith shared by parishioners, clergy and staff. A portion of pledges to the 2019 campaign will be dedicated to increasing budgets for children, youth and outreach ministries, further extending the joy St. Paul’s will be able to share next year in these key areas. Your commitment to volunteer with one or more ministries, committees or programs will further enrich your response to the campaign. If you did not sign up to help one or more ministries the day of the fair, we hope you will consider following up with ministry leaders in the coming weeks to pledge your help with the work of the church during the coming year. We ask that you either put a completed pledge card, enclosed in an envelope, in the offertory plate during a church service or mail it to the church office. You may also visit the St. Paul’s website to pledge online. Your pledge and those of your fellow parishioners allow us to look forward to the new year with much greater confidence as our Vestry prepares the 2019 operating budget. We invite you to join us in blessing all pledges at services on Sunday, October 14, to make sure God’s joyful work at and through St. Paul’s can continue during 2019. P.S. Last year, our pledge total was the largest in the history of the parish. This year, in addition to meeting our goal of $2,200,000, we hope to surpass all former campaign participation records in terms of the percentage of parish households making a pledge. Even if your pledge is modest, your willingness to Share Joy as you are able by pledging to the campaign will be most valued and appreciated. 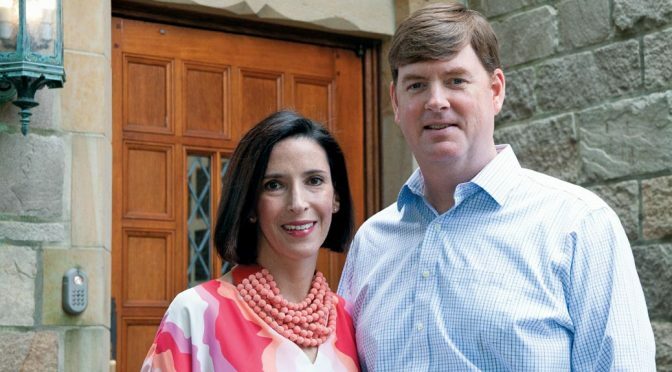 Meet campaign Chairs Liza and Marshall Smith. Read a campaign message from the Rector. See videos by Todd Davis featuring parishioners’ reflections on stewardship and what it means to share joy at St. Paul’s. Review answers to frequently-asked questions about annual giving.